According to the newspaper Express, a relatively large asteroid that might someday be headed directly for Planet Earth would release a massive impact force 1,500 times that of the Hiroshima and Nagasaki atomic bombs combined. The British dailycites NASA sources as claiming that the asteroid, almost 700 feet across, might have an astounding 62 diverse potential impact routes with Earth with each of them possibly able to set the asteroid on a collision course with us over the next 100 years. According to NASA’s Jet Propulsion Laboratory (JPL), the asteroid 2018 LF16 was last pinpointed on 16 June with calculations revealing that the space rock could smash into Earth sometime before 2117. Its first such frightening encounter will come just five years from now, on 8 August, 2023 with other close impact dates being 3 August, 2024 and 1 August, 2025. 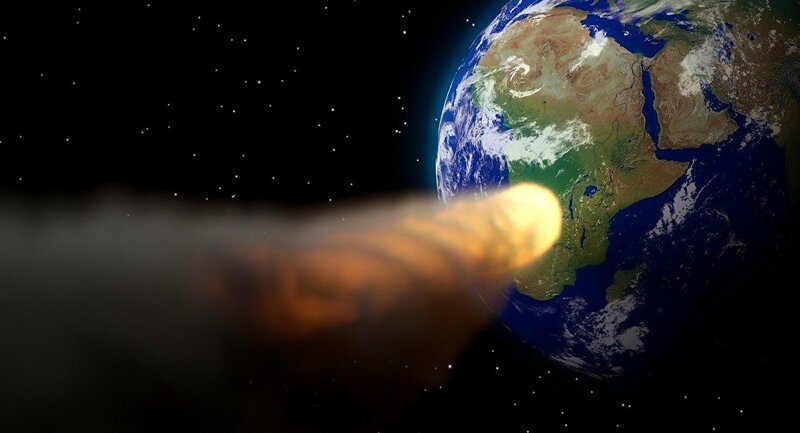 What’s even worse is that the asteroid is presently racing through space at a speed of over 33,844 miles an hour. This does not certainly mean, however, that asteroid 2018 LF16 is 100 percent certain to crash into Earth. NASA scientists estimate that the asteroid has a one in 30 million chance of having an impact with planet and has a 99.9999967 percent chance of missing us in the occasion it does stroll too close to home. If the asteroid this big hits Earth than it would create impact force equal to that of the 57-megaton Tsar Bomb the Soviet Union exploded in 1961. The BBC wrote: “That is more than 1,500 times that of the Hiroshima and Nagasaki bombs combined, and 10 times more powerful than all the munitions expended during World War II,”. Fortunately for mankind, asteroids hardly stroll close to Earth, with the European Space Agency saying that asteroids greater than 330 feet in diameter frequently cross paths with Earth only once every 1,000 years.